Manzanillo_Municipality,_Colima - TerritorioScuola Enhanced Wiki Alfa - Enhanced Search with WikiPedia Using Robots to display related resources from the web to all WikiPedia words (Video/Audio, .doc, ,pdf, .ppt, maps, edu, .html). 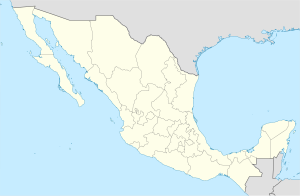 Manzanillo is a municipality in the Mexican state of Colima. The municipal seat lies at Manzanillo. The municipality covers an area of 1,578.3 km2 (609.4 sq mi), which also includes the remote Revillagigedo Islands. As of 2010, the municipality had a total population of 161,420. ^ "Manzanillo". Enciclopedia de los Municipios de México. Instituto Nacional para el Federalismo y el Desarrollo Municipal. Archived from the original on May 29, 2007. Retrieved November 9, 2008. This article about a location in the Mexican state of Colima is a stub. You can help Wikipedia by expanding it.